A Sci Fi cyberpunk novella set on an Earth slowly going to hell. 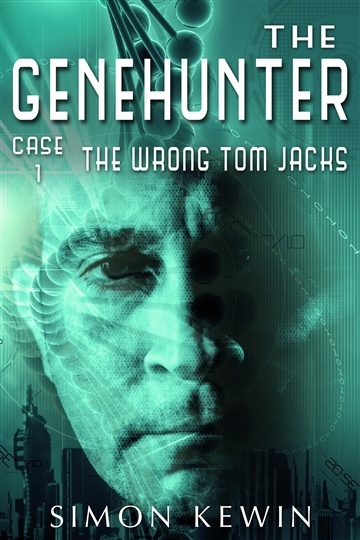 The Wrong Tom Jacks is the first of five science fiction stories following the adventures of Simms, genetic detective and all-round nice guy. "I cannot recommend "The Wrong Tom Jacks" enough. Simon Kewin took a killer concept and made a terrific story out of it." "The Wrong Tom Jacks was a thrilling read from start to finish, introducing characters I can't wait to read more about." "The writing is exceptional. Simon Kewin is a master of prose. His writing felt effortless, simple yet literary fiction strong. I'm his newest fan."